I’m so ready for blooming flowers and fresh green outdoors! I want to cheer up every corner of my home and invite bright colors into our space. 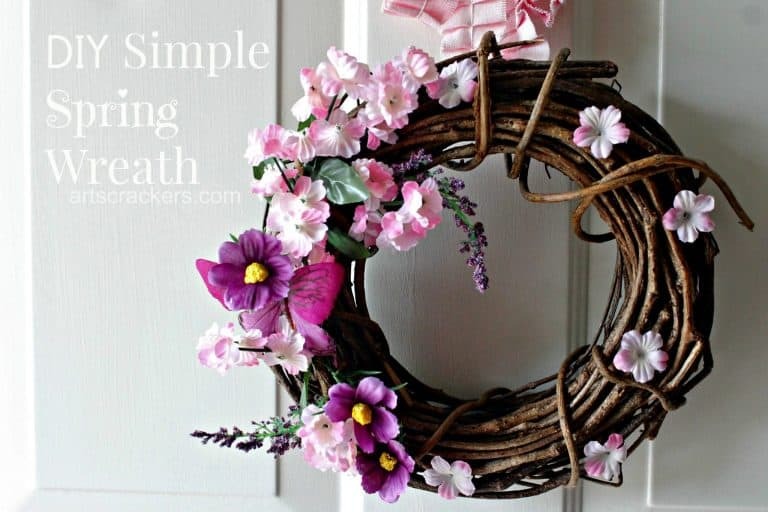 So, what better way to do that than looking for some spring wreath ideas? While most of the wreaths I gathered here will be for the front door, I’ll first share a memory from my childhood involving making wreaths from living flowers and wearing them for an afternoon. What fun! It usually happened on a picnic trip with the family. We, the kids used to make one for each family member and wear them for the day. 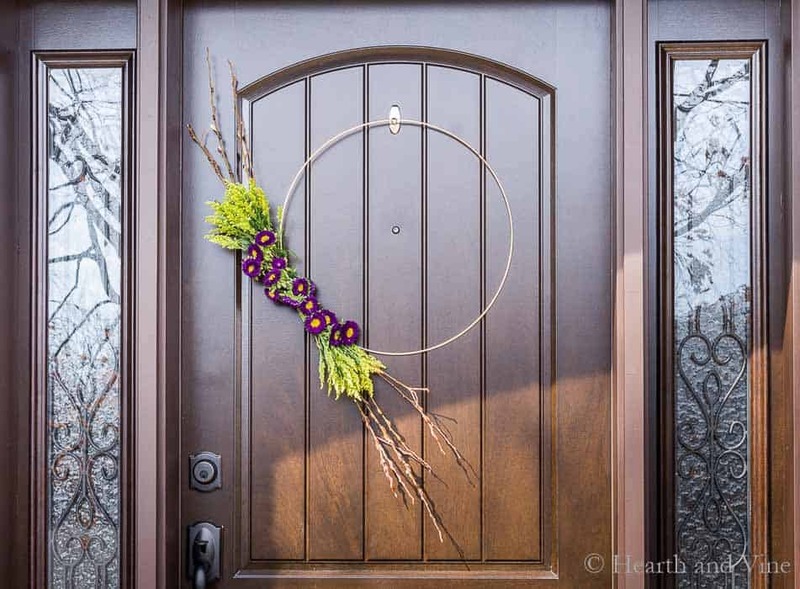 You can use dandelions (or any other colorful spring flowers) to make a spring wreath for your head, or for your door (it will only look pretty for a short time, but it’s fun to do if you have company coming). 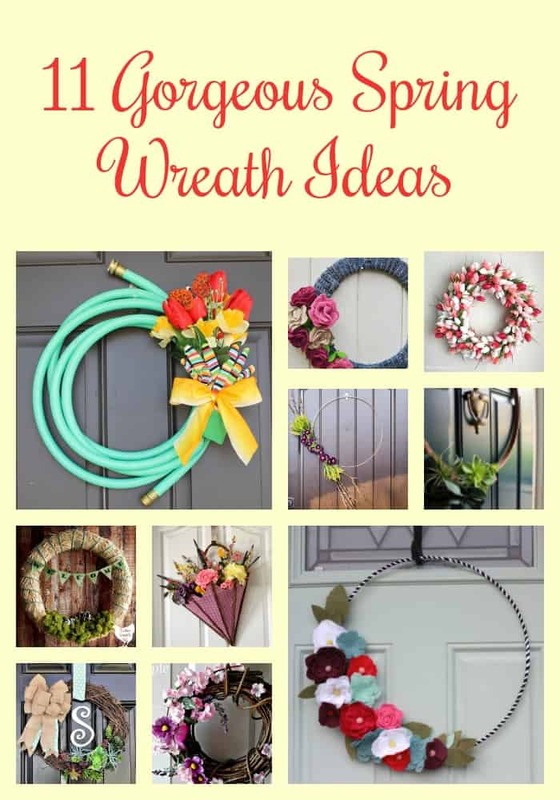 With a bit of creativity, you can create lots of fun wreaths for your home. 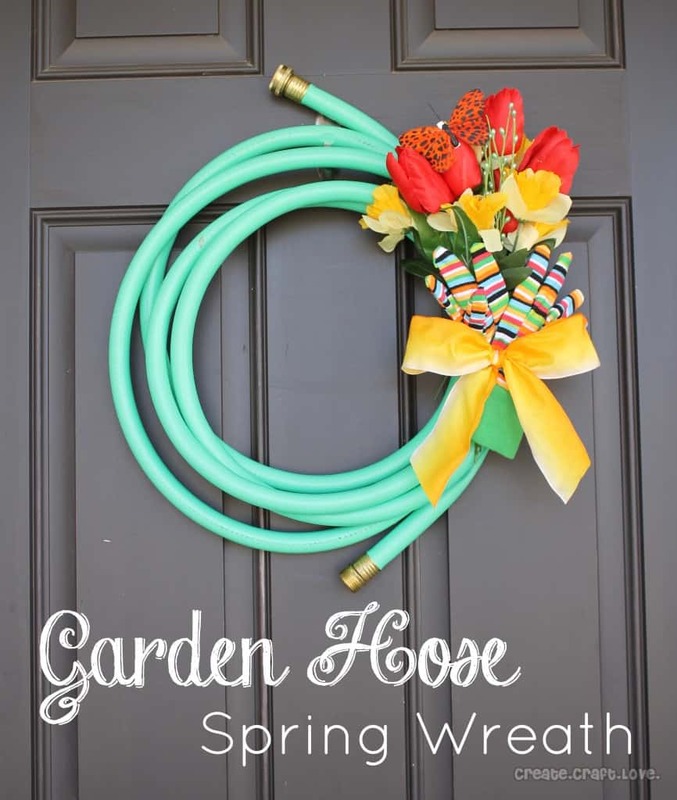 This garden hose wreath is my favorite wreath in this collection! 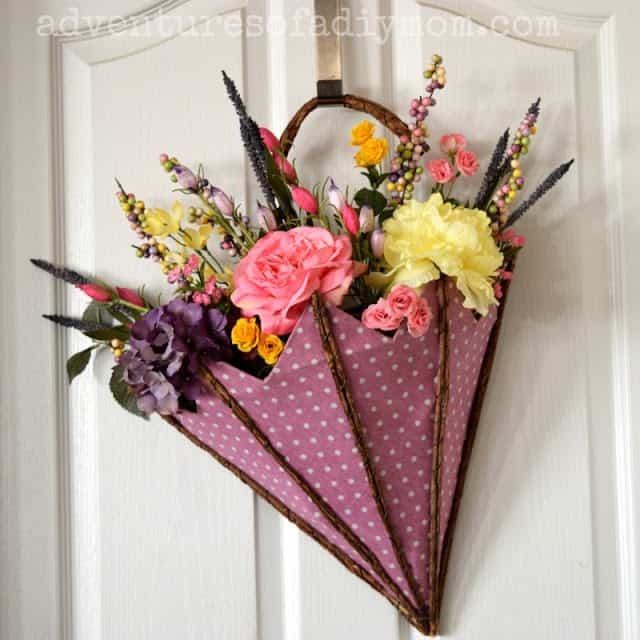 Perfect for gardeners like me and you, and so easy to make! 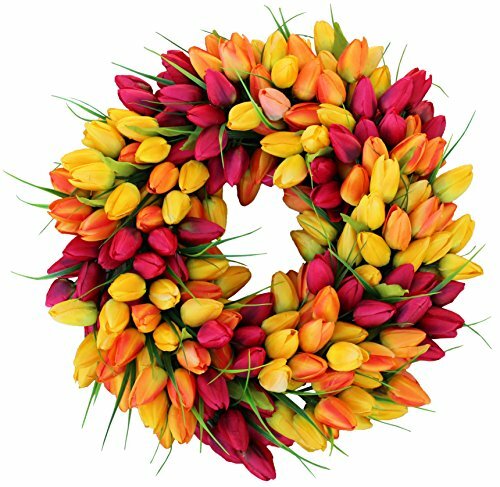 Beautiful pastel tulip wreath will add a burst of spring to your front door. 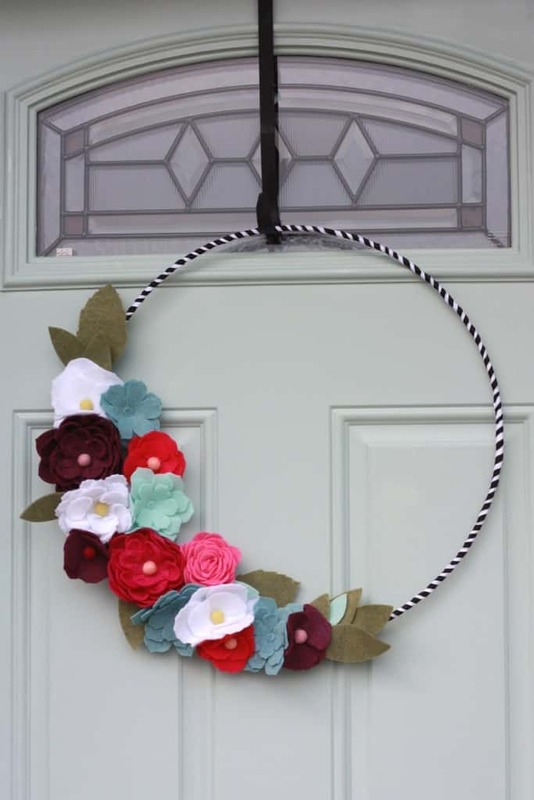 I adore this upcycled wreath! I’m always happy to recycle, and this gives me the perfect excuse to look through my wool sweaters. I remember a couple I haven’t worn in a while and they are bright, cheery colors! YAY! 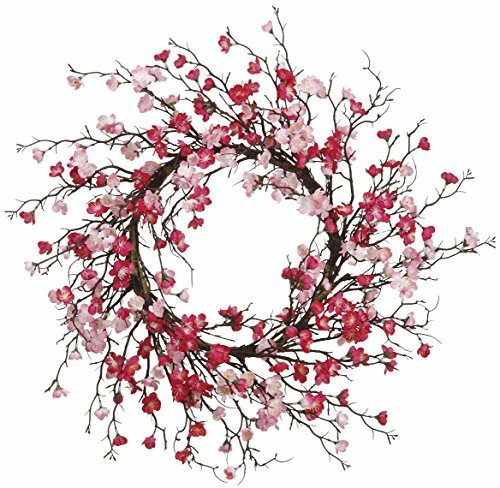 What better way to welcome spring than with a twig wreath? I love the simplicity of it. 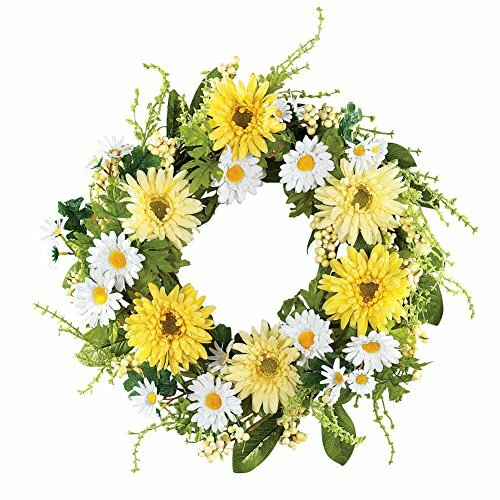 Beautiful wreath created to celebrate a grandpa’s life! 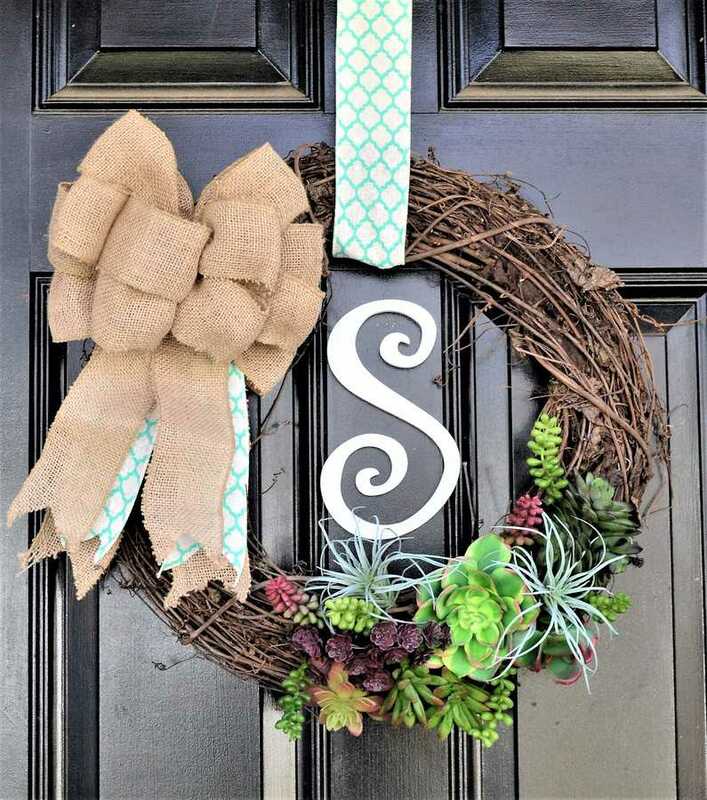 Perfect wreath for a farmer’s family! 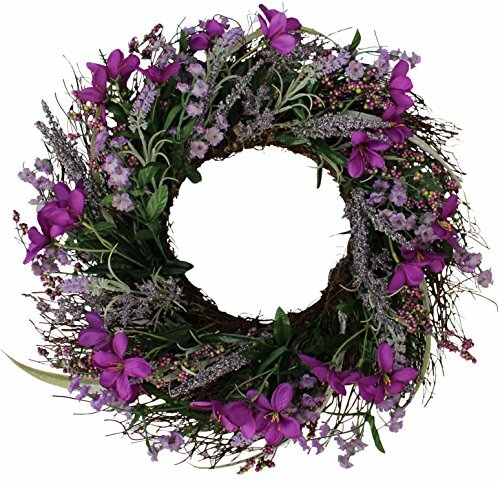 Beautiful modern wreath! 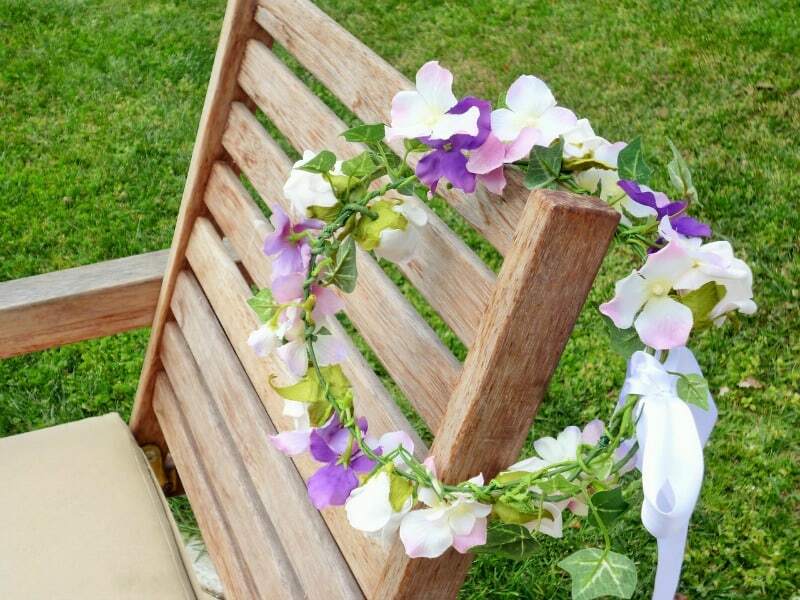 I love that you can make it with fresh or silk flowers, but I especially love the look with the flowers on the side. Very pretty! 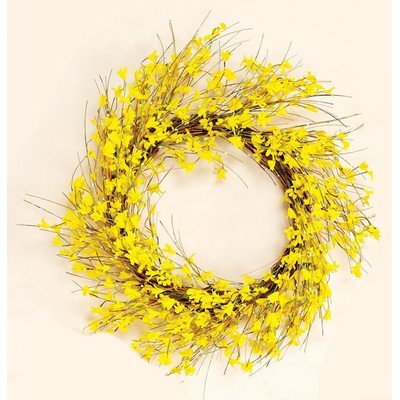 This simple, yet stunning spring wreath can stay on your door into the summer months. 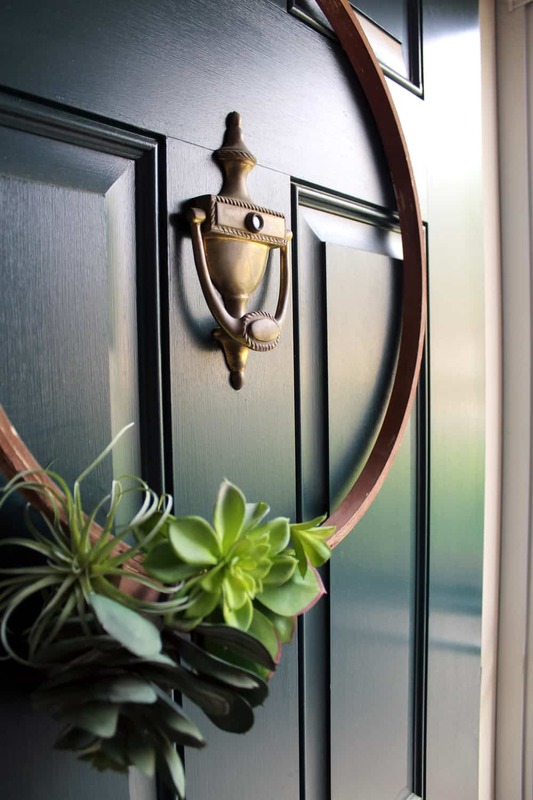 Julia shares how to make the wreath modern or vibrant, depending on the colors of the succulents you use. 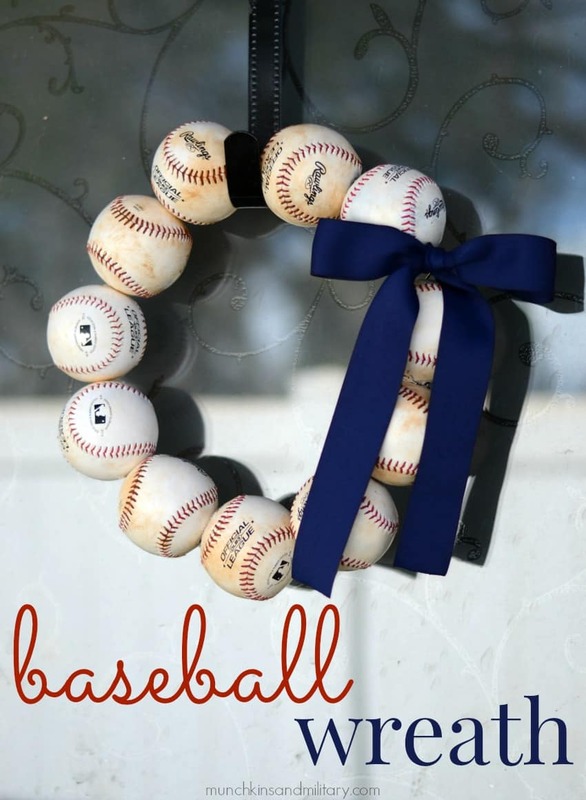 Perfect for a house full of boys who love baseball, this wreath will let the world know you’re ready to play! 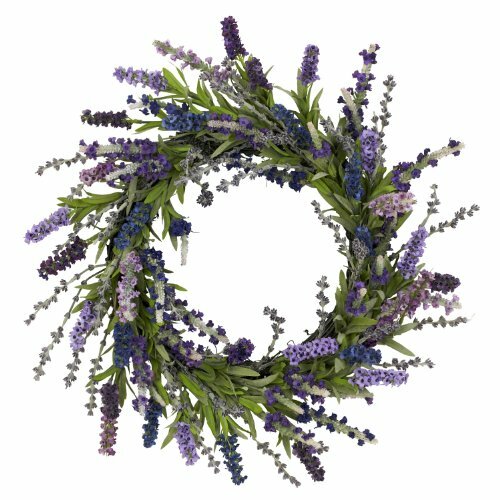 If you’re crafty and have a cricut, this felt flower wreath will be a lot of fun to make. You can use bright color, pale colors, or more masculine colors, depending on your preferences. 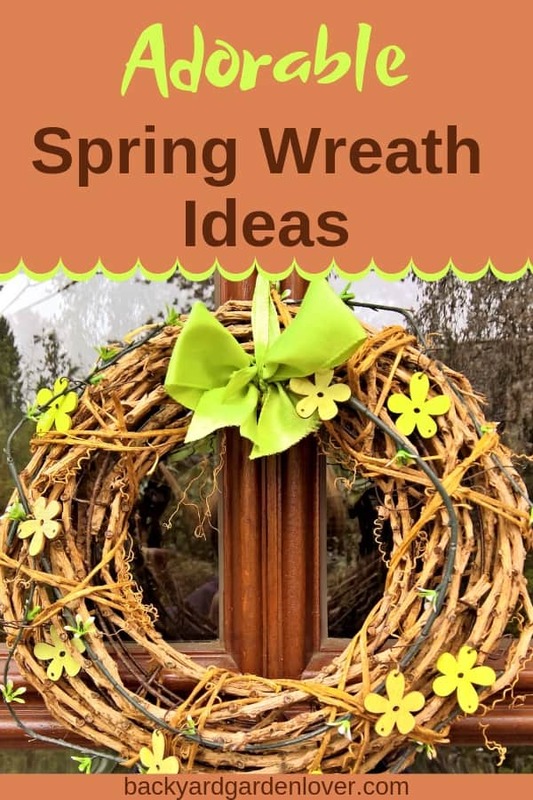 I hope this collection of spring wreath ideas will inspire you to create your own. 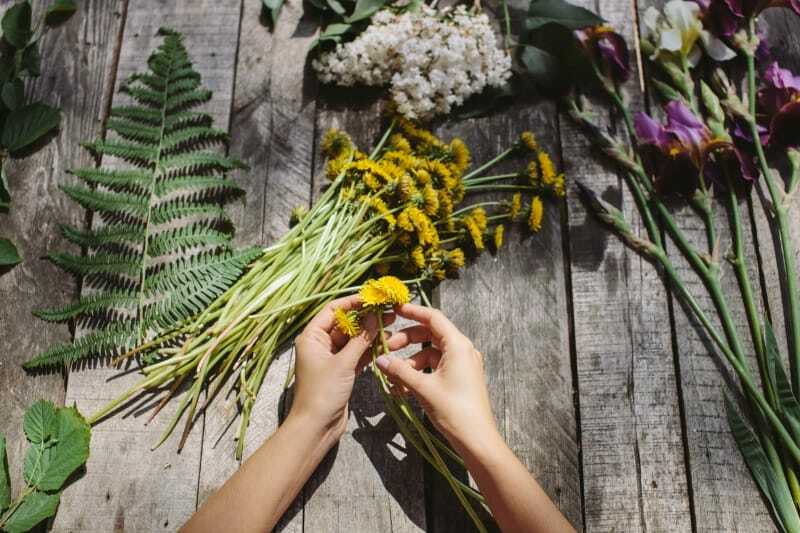 Let spring come into your home: it feels good after the long winter! 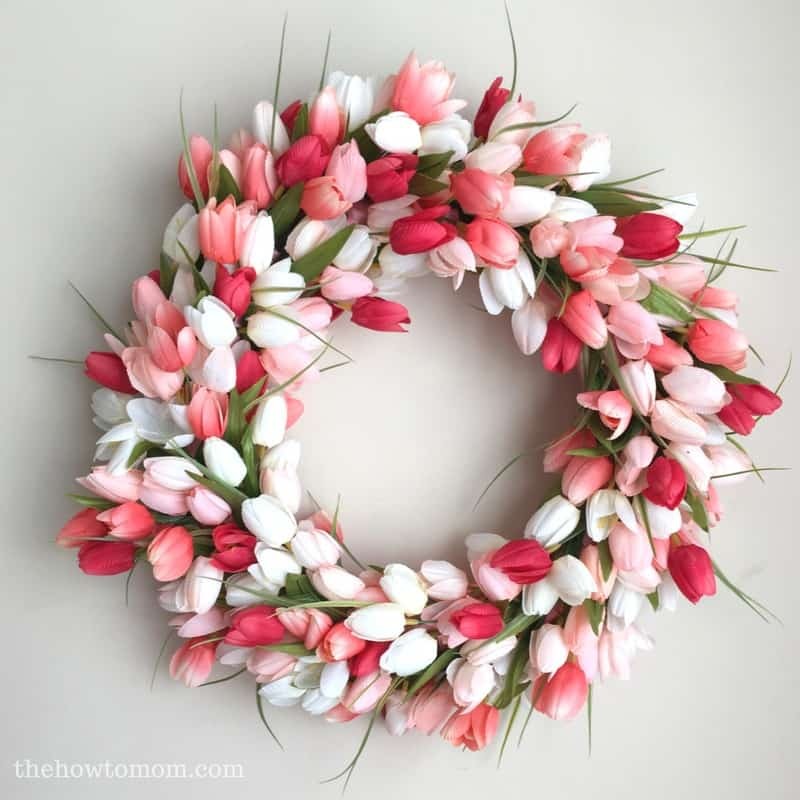 Great collection of spring wreaths. Thank you for featuring my upcycled wreaths.